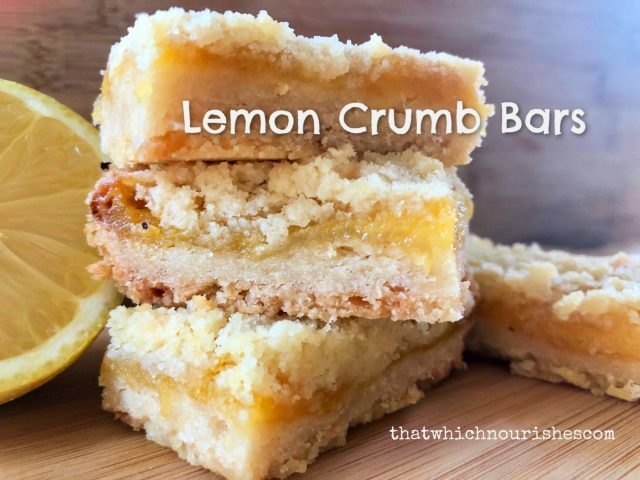 Tart, bright and as lemony-delicious as a dessert can get, these Lemon Crumb Bars with their soft, buttery crumbs and lemon curd filling are quick to make and quicker to disappear! These taste very similar to a traditional Lemon Bar, but since I have one family member that can’t have powdered sugar and another that can’t have egg whites, I needed a recipe that hit (and maybe out-lemoned) my from-scratch Luscious Lemon Bars. And boy, did these fit the bill! 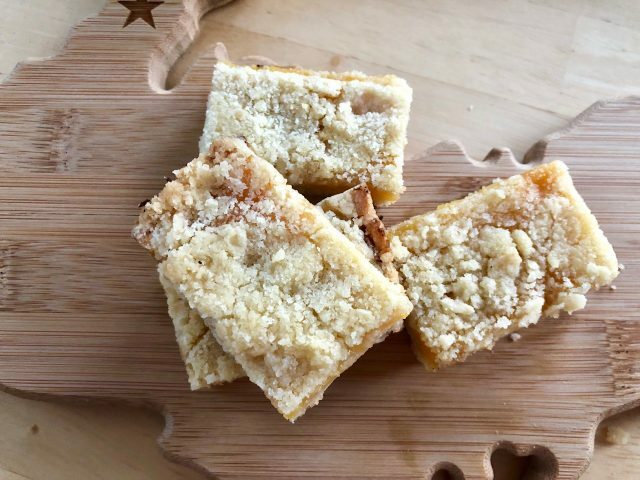 I combined a recipe for Lemon Curd from Life Love and Sugar (thank you so very much ) with an adapted version of Crumble Bars from House of Yumm (thank YOU so very much). Notice my pretty new U.P. cutting board? I finally got the right shape of Michigan! ;o) Got it from our favorite little gift store called Copper World in Calumet, Michigan — home of of the Copper Dog 150 sled dog race which should be on your bucket list for sure! There are two easy elements to this dish, lemon curd and the crumbs. 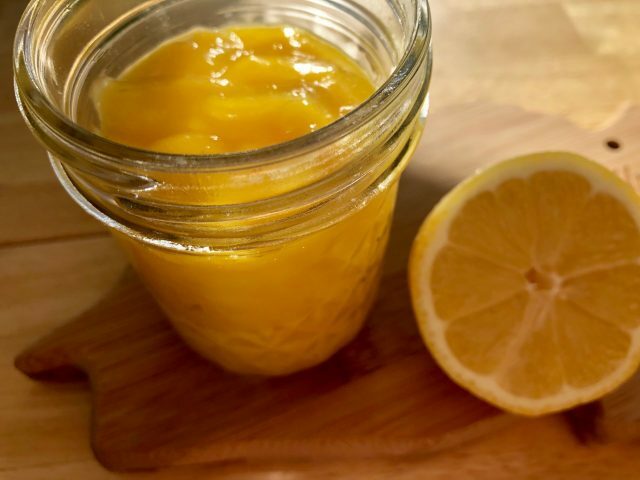 Within minutes, you can make your own Lemon Curd which is a super tart lemon preserve that might remind you of a pudding. 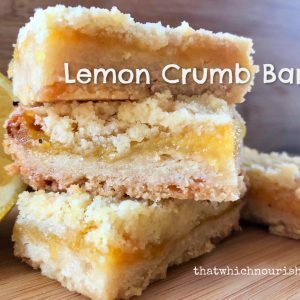 This recipe make about 1 c. worth of curd which is just right for the Lemon Crumb Bars. The curd also works great in these little gems — Toasted Coconut Thumbprints with Cherry or Lemon. 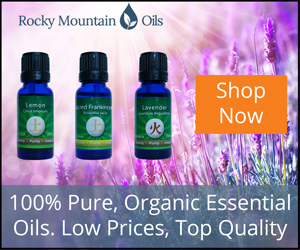 In a double boiler bowl, add the following ingredients. Heat the water underneath in the pot, and whisk the ingredients together constantly, heating to 160 degrees at which point, the mixture will suddenly thicken somewhat. If you can’t test the temperature, dip the back of a spoon in, and wipe a stripe with your finger. It path you made with your finger should remain. Remove it from the heat and spoon it into a jar or small bowl. I use a pint jar and put the lid on, but you can also cover the curd with plastic wrap to help prevent a skin from forming on the top. Put it in the fridge to let cool; it will thicken more as it cools. While the curd is cooling, make the crumb base and topping. So easy, friends. In a mixing bowl, beat 1/2 c. butter with 3/4 c. sugar. I let my mixer do all the work and start with cold butter. Add in 1 1/2 c. flour, and 1/4 tsp. salt. Mix well until the mixture looks like crumbs. It will be very soft with small crumbs. 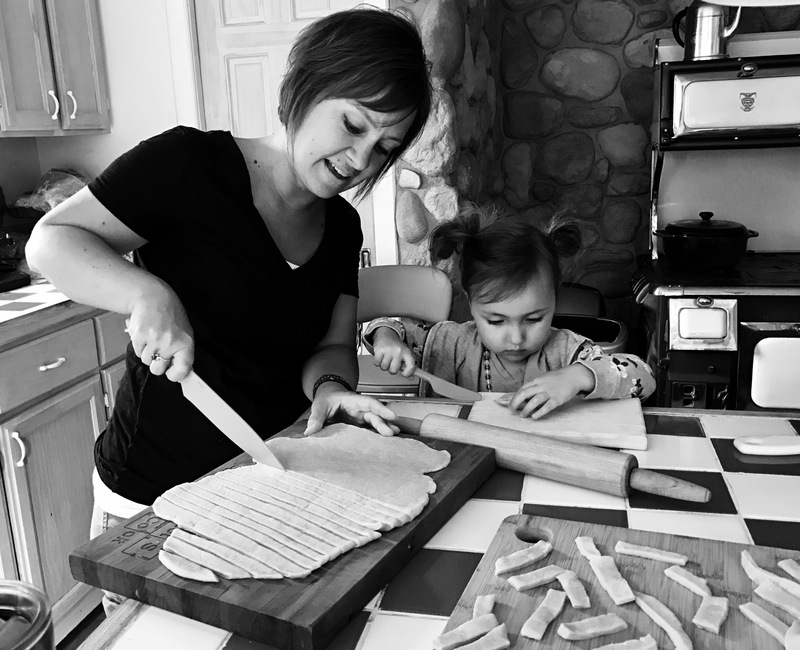 Reserve 3/4 cup for the topping and press the rest into a 8″ x 8″ square or an 8″ x 6″ rectangular baking dish. Spread the cooled lemon curd over the base crumbs. 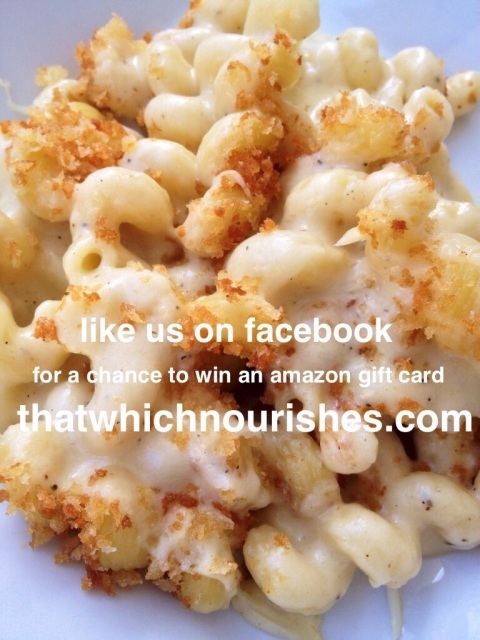 Pour the remaining 3/4 c. of crumbs over the top and spread them evenly. Bake for 45 minutes or until just a bit of golden brown color shows on some of the crumb topping. Let cool on a wire rack until completely cooled and then cut into bars. You can bet I will try this next with oranges and see what happens! Yum!! In a double boiler bowl, add the zest, juice, sugar, egg yolks, and butter. Heat the water and constantly whisk the ingredients together heating to 160 degrees at which point, the mixture will suddenly thicken. Remove it from the heat and spoon it into a jar or small bowl. I use a pint jar and put the lid on or you can cover the curd with plastic wrap to help prevent a skin from forming on the top. Put it in the fridge to let cool; it will thicken more as it cools. In a mixing bowl beat the butter and sugar. 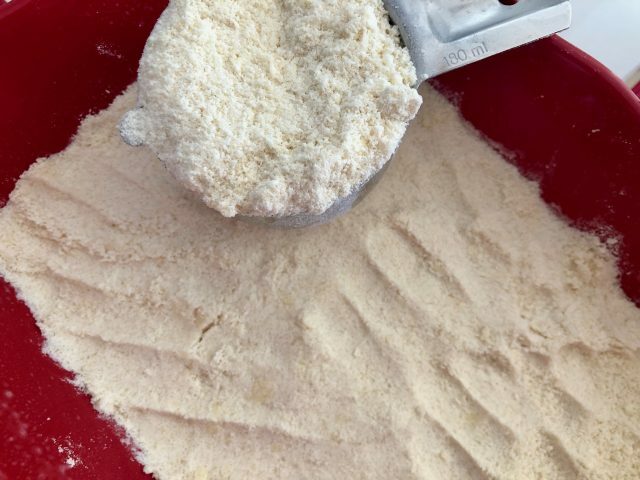 Add in flour and salt and mix well until the mixture looks like crumbs. It will be very soft with small crumbs. Reserve ¾ cup for the topping and press the rest into a 9" x 9" square or an 8" x 6" rectangular baking dish. Spread the cooled lemon curd over the base crumbs. Pour the remaining ¾ c. of crumbs over the top and spread them evenly. Bake for 45 minutes or until just a bit of golden brown color shows on some of the crumb topping. Let cool on a wire rack until completely cooled and then cut into bars.